2004 was a beautiful year for Martijn van Iterson. Unanimous praise followed the release of his second CD ‘The Whole Bunch’ (Munich Records). Its international release was ranked top of the American Jazz Chart for radio play. And then of course that award at the 29th North Sea Jazz Festival: the Bird Award as ‘Artist Deserving Wider Recognition’. Presenting the award to Van Iterson, fellow guitarist Pat Metheny had some difficulty pronouncing his name and commented to a Dutch journalist ‘What a guitar player! But can’t he change his name to Martin von Schmidt or something?’. 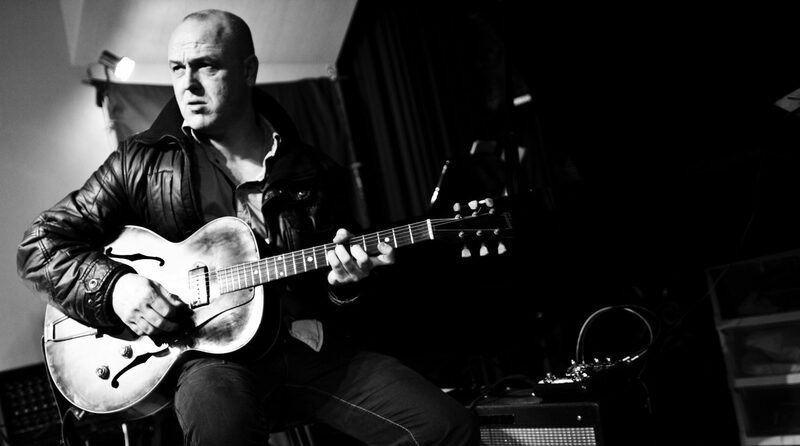 The Bird Award Jury complimented Van Iterson, calling him ‘a sincere musician with his own unpolished sound and characteristic personal style. He possesses excellent timing and improvises in his own unique manner. As a composer Van Iterson is still underestimated’. In The Netherlands, van Iterson has long been a favourite of fellow jazz musicians and I was told many times ‘Martijn van Iterson is the one you should hear; he’s a musician’s musician’. Van Iterson himself doesn’t blow his own trumpet. His first reaction to the Bird Award, whose nominees included Fred Hersch, Kurt Rosenwinkel, Bugge Wesseltoft, Joris Teepe, Matt Wilson and Jason Yarde, was almost comically cool ‘That’s nice, it makes a change’. Speaking of Rosenwinkel, who he’d played a duet with at one of the North Sea Jazz Festivals, Van Iterson told me enthusiastically ‘His latest CD ‘Heartcare’ really is very different. He uses the computer, with samples and ordinary instruments. That sound is something new to me and he interweaves many traditional instruments’. Van Iterson keeps his ears wide open.